Maiden claiming races are the lowest races on the class scale and arguably the least entertaining to watch. None of the entrants have won a single race, and all are for sale. But are maiden claimers the worst betting proposition in racing? Personal handicapping style dictates your answer to that question. I find plays in maiden claiming races with regularity. That's because a large portion of my approach is based on talent evaluation of young horses. Maiden claiming races are relatively devoid of talent, so even the smallest traces of ability can lead to the winner's circle. And those traces aren't always obvious to the betting public. First-time starters in maiden claiming races deserve special attention. Common sense says that if an owner has made the decision to sell a horse before it even has run its first race, that is a giant vote of No Confidence in that horse's abilities. For the most part, common sense is right. First-time starters, especially at the lower levels of maiden claiming ($10,000 or lower), are bad bets. Taking things a little further, if the horse sold at public auction, the past performances will note the selling price (on BRIS and DRF PPs, the auction information appears directly above the pedigree.) If the auction price is higher than the debut maiden claiming price, throw the horse out. If an owner is willing to take a loss before the horse has raced, that is a sign of major physical problems and/or a complete lack of talent. If a debuting maiden claimer does not have an auction record, look to the sire's stud fee (it appears directly after the sire's name). Add $10,000 to the stud fee and you will have a rudimentary, lowball estimate of what it cost to produce the horse. Now compare that number with today's claiming tag. Again, horses that are being offered for sale in their debut for less money than they cost to produce are bad bets. On the other hand, a horse produced on a low stud fee, say $7,500, that is debuting for maiden claiming $40,000, could be very well meant. The next thing to do is identify which trainers in the race win on the debut with maiden claimers with regularity (10-15% of the time or more). Very few trainers will meet this criteria. If you are going to bet on a first-time starter in a maiden claiming event, try to focus on trainers that win with 15% or more of their starters in that scenario. Note that a debut win % is not the same as a debut maiden claiming % (For example, DRF Formulator has separate categories for debut MSW and debut MCL). Either through good statistics or by learning your circuit, it will pay to identify which trainers specialize in this spot. 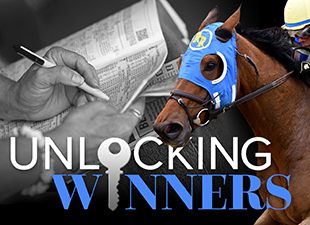 The list of debuting horses you should consider in the win pool will be short. The list of throwouts will be long. Class drops are the best source of overlaid winners in the maiden claiming ranks. In addition to facing easier competition, the class droppers can be profitable plays because they often score lowly on two areas the public overbets: finishing position and final time speed figures. What you should be looking for in the class dropper is the slightest shred of talent. It could come in the form of early pace, an even effort, or the ability to pass just a couple horses. Those mini-moves at the maiden special weight level become winning moves in maiden claiming. There is an old handicapping rule that says if the class dropper got within two lengths of the lead at any call of a higher class race, it could be a standout on the drop. Troubled trips are a great source of angles in maiden claiming races, both for class droppers and second-timers (second-time starters, second-time maiden claiming, etc...) A couple examples...look for horses that broke last from an inside post and then put in even the slightest of runs. Those horses can improve dramatically next out. Severe checking incidents also can be cause to forgive an effort. Maiden claimers are rarely good enough to put in a second move and win a race. If you note a horse that showed multiple moves, that's handicpping gold in the maiden claiming ranks. The next type of horse to look for is one that delivered an above-par effort but lost at the class level. Some maiden claiming race are dreadful. But the ones won by class droppers or impressive first-timers can turn into key races quickly, producing multiple next-out winners. Either by examining past charts or making your own notes, try to identify the 'live' maiden claiming heats before the public, and look for those also-rans when they return. The last stop in my handicapping of maiden claimers are those horses that already have run well at the class level. The problem with these horses is that they rarely offer significant value. If you see a horse that has multiple in-the-money finishes at the class level at low odds, try to watch those races and investigate who they lost to. If the winners were ordinary and the favorite seems to find a way to lose, the horse may have unresolved psychological issues that are holding it back from winning. Look to bet against this type.